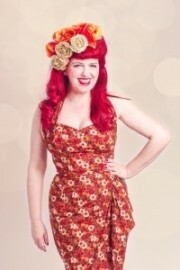 Versatile stylish vocalist with vintage quirkiness. Based in London, she is able to perform at Weddings, Parties, Corporate events and more. Emma Ruth is a highly experienced cabaret artiste having worked around the world in corporate and private functions plus flyback cabaret and cruise work. Her sassy style and powerful vocals make her irresistable to all kinds of audiences. Whether she’s wowing audience with heart rending torch songs, timeless standards, belting out classic rock tunes or getting kids on the dance floor with the latest pop hits, Emma presents each and every number with flair and polish. 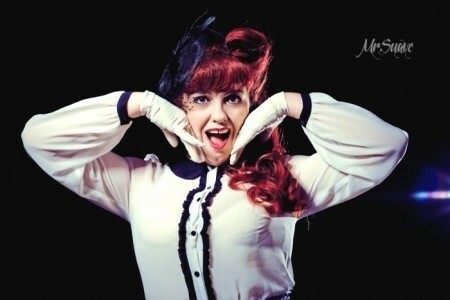 A trained singer and actress who has performed in West End Musicals, Burlesque shows, TV and radio Emma delivers a highl ... y professional show. 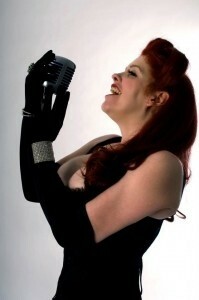 A versatile performer whose incredible vocals are enhanced by her bubbly wit and charm.